The University of New Brunswick’s Dr. Alli Murugesan has been awarded the 2018 Mitacs Global Impact Entrepreneur Award for her outstanding research and innovation in cancer research. The award recognizes Dr. Murugesan for her breakthrough discoveries in cancer research and entrepreneurship. She has been developing a treatment that targets and kills cancer cells that have become resistant to chemotherapy. Dr. Murugesan is an academia-nurtured entrepreneur with a PhD degree in biotechnology and two postdoctoral fellowships in neuroscience and oncology. She is a senior scientist on UNB’s Saint John campus. The main blood cancers Dr. Murugesan has been working on are myeloma, leukemia and lymphoma. She has invented a nature-inspired compound to treat blood cancers at the Reiman Cancer Research Laboratory along with UNB’s Dr. Tony Reiman, and Universite de Moncton professor Dr. Mohamed Touiaibia. The promising compound has the function to kill blood cancer cells and work more efficiently than the current chemotherapy drugs being used. 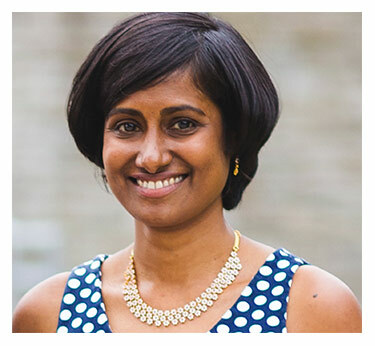 Along with her award, Dr. Murugesan received $5,000 which will go towards her company BioHuntress Therapeutics Inc. for its business development. “The award really makes me feel that the vision of BioHuntress as a company that will make a global impact is being recognized,” says Dr. Murugesan. BioHuntress Therapeutics Inc. was founded by Dr. Murugesan in 2016 to develop novel, well-tolerated drugs for blood cancers and resorptive bone diseases. “I was very excited and thrilled to receive this award. There were several equally talented entrepreneurs who applied for this award, so it was a highly competitive application process in which seven of us were chosen, making it even more humbling when I heard that I had won,” says Dr. Murugesan. Mitacs is a non-for-profit organization that designs and delivers research programs in Canada. For the last 19 years, Mitacs has supported industrial and social innovation. They provide research internship program that connect graduate students and postdoctoral fellows with industry and non-for-profit partners for collaboration purposes.